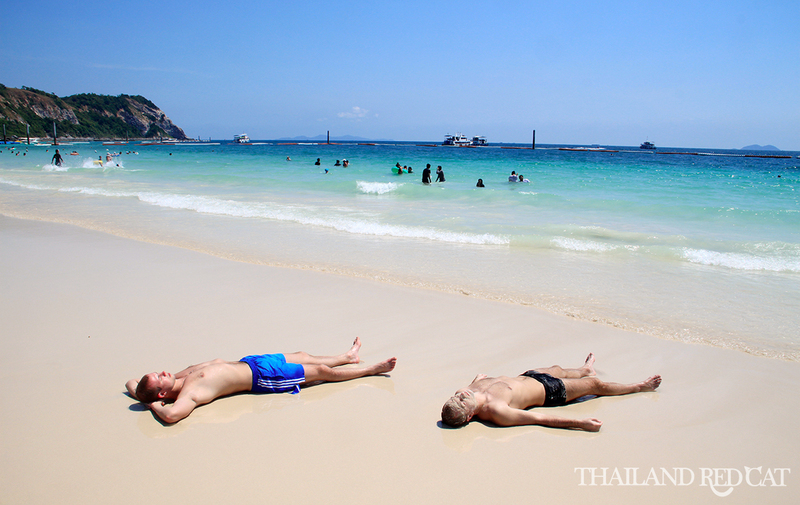 Last weekend I eventually decided to head out of Bangkok and for a trip to Koh Larn. It’s the eight island I have visited now in Thailand and seriously I don’t know why I didn’t go earlier. 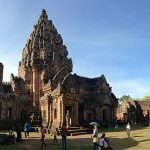 It’s so close and easy to get there from Bangkok – it is definitely the best island trip for just a couple of days if you are coming from BKK. 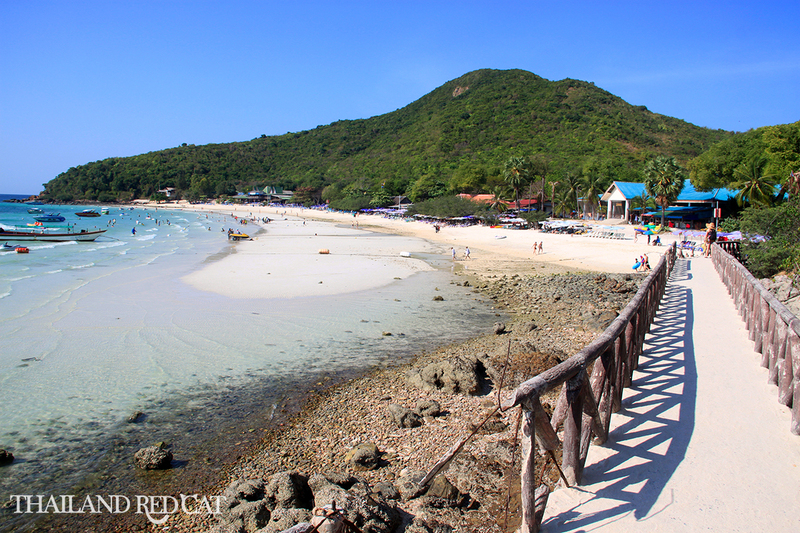 There is only one other island which is closer to Thailand’s capital: Koh Sichang, off Si Racha. But it’s definitely well worth to travel down the coast just for another half an hour to Pattaya and head out to Koh Larn. 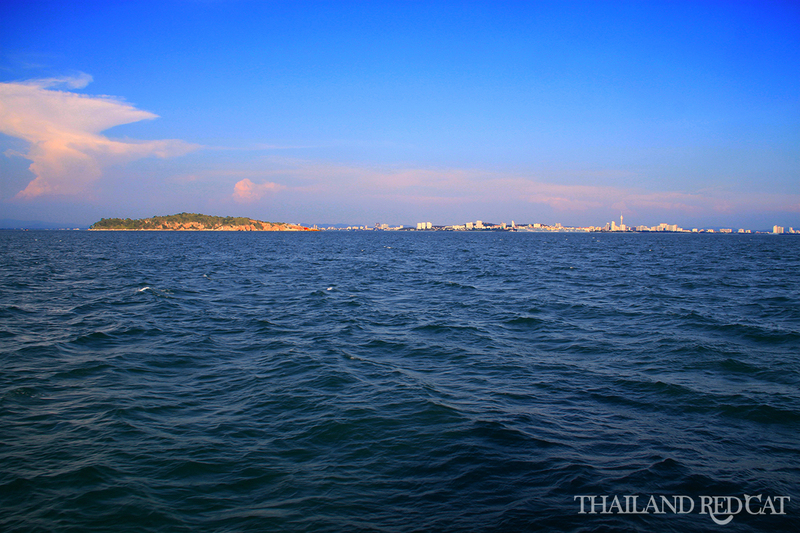 I have first spent a relaxed afternoon and also the night in Pattaya (check out this post to know why I love Pattaya) and the following morning I took the first public ferry at 9:30am from the city’s harbor (to the northern end of Walking Street) to Koh Larn (30 Baht one way, 35 min). Once I reached the island there were many motorbike drivers around offering their services. The good thing is that the prices are not even expensive with one way fares to the different beaches (5) from 40 to 60 Baht. You can also rent a scooter on Koh Larn (300-350 Baht for the full day). I met a group of local students on the boat and we decided to go to Samae Beach first to have some seafood for lunch. The fare was 50 Baht and the ride good fun, driving up and down the hills of the center of Koh Larn and eventually reaching the Samae Beach on the western coast after around 15 minutes. 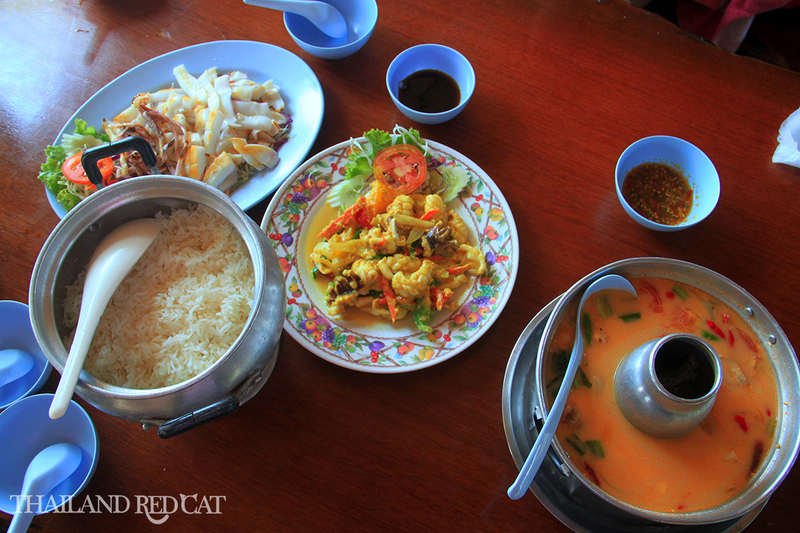 We took a seat at a restaurant right at the beach and had this delicious seafood lunch. 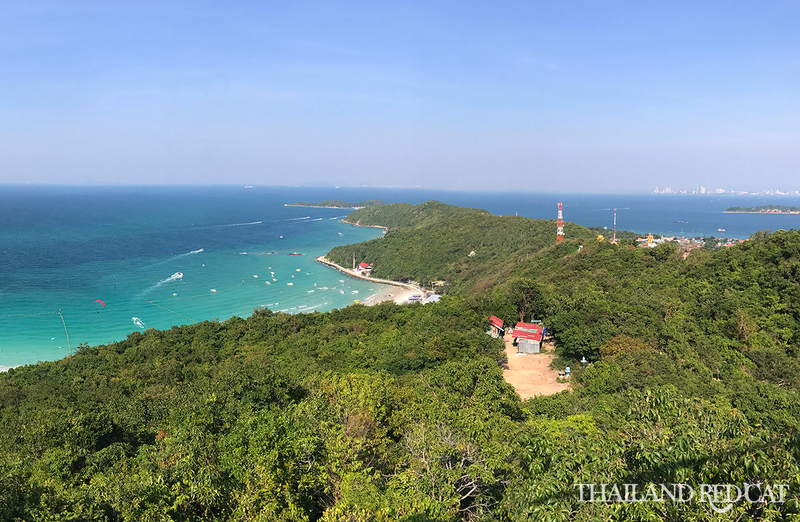 From this viewpoint we just followed the path along the coast, partly through lush rainforest and it took us straight to Koh Larn’s most beautiful and most photographed site: Tien Beach. We took it really easy there and just rented some beach chairs (50 Baht each), relaxed and went for a swim in the crystal clear water. 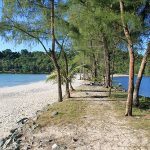 Even though one of the busiest beaches on Koh Larn, it’s still pretty quiet there compared to hot spots like Samui or Phuket (I have made a post about the worst beaches in Thailand which you can find here). He brought me all the way to the top and eventually stopped at a temple. I walked through the forest and up to the stunning view point. On the picture you can see Tawaen Beach (left) and Tonglang Beach (right). Fantastic atmosphere and great views all around. I paid the motorbike driver another 50 Baht to take me to the ferry station where I enjoyed a big bottle of Leo right at the ferry terminal at some local joint for just 60 Baht. One hour later at 5pm I took the boat back to Pattaya and again great views: Tiny Koh Krok to the left and Pattaya and Jomtien in the background. I’m glad I eventually made the trip to Koh Larn and will definitely come back! Note: Even though I haven’t spent the night on Koh Larn (yet), there are a few hotels around and you can even find fine budget rooms for as little as 400 Baht!